For lunch we finished baking two panini roll, stuffed in some Swiss cheese and filled with hot Bacon and Black Bean Chili. 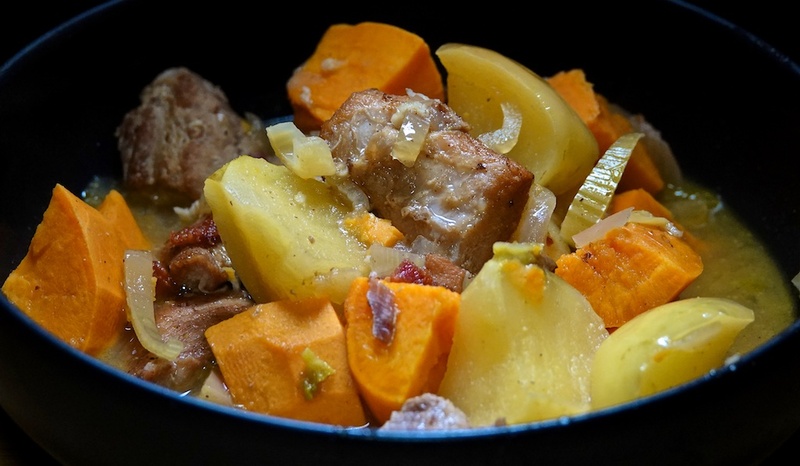 We often get cubed pork in our Keller Crafted meat box, and it’s a challenge to find something interesting to do with it, so tonight we tried a new recipe: Chunky Pork and Apple Stew. There will be four serves. Add 50c per serve for seasoning, onion and mustard. We chose to serve without any filler. This was pretty good for $5.70 per serve.